Peel and mash the boiled potatoes completely. Add all the spices and mix very well. Add the corn flour and mix thoroughly. This will help in binding the potato paste. Now take a little of paste in your hands and mould it to the desired shape. Roll into the bread crumbs and carefully add to the hot oil. Repeat for all the potato paste. 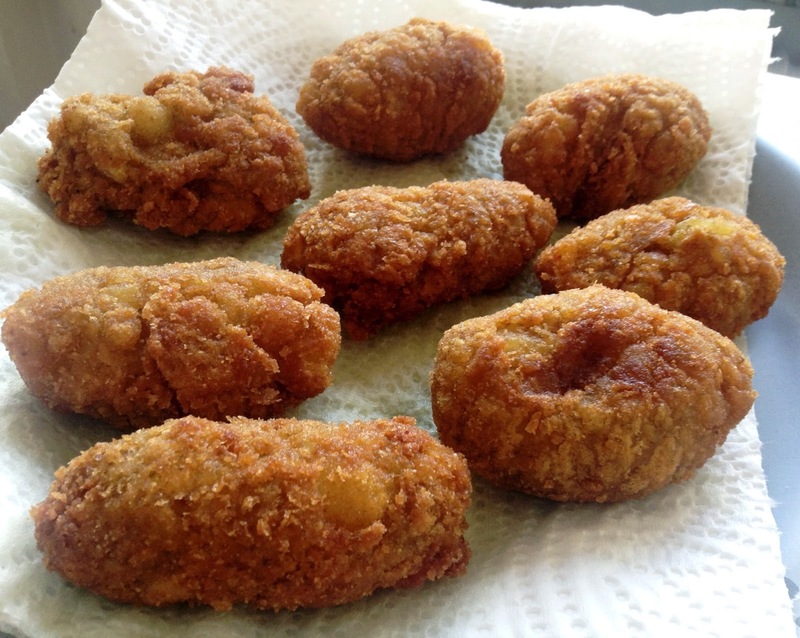 Let all the cutlets fry from both sides till golden brown. Drain on a kitchen paper to absorb excess oil. Take a tissue paper and press lightly on the top as well , it will remove any remaining oil.